Small Money For Big Event ! Complete Package Solution - For Trade Shows, Convention, Meeting and Special Events. The super low budge badge holder lanyard package LY-421-BH-180 are special designs for fast dispatching IDs or name tags. The high quality round cord lanyards LY-421come with two heavy duty plastic end-tips. The lanyards and badge holders are pre-assembled, ready to use, just insert your ID cards. LY-421 lanyards are easy to hook-up ID holders with holes. 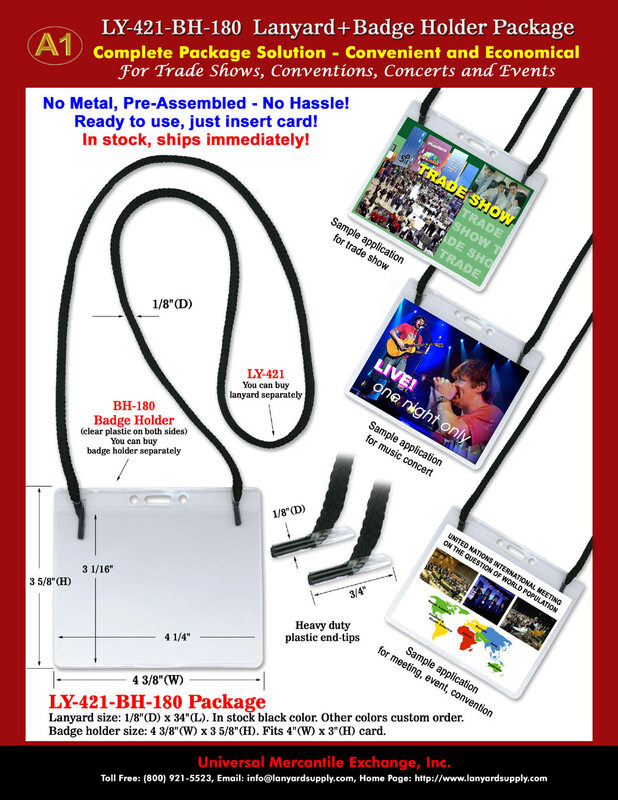 You are viewing Lanyards > No-Metal, No-Hassle, Pre-Assemble: Special Event ID Holder Lanyard Package.